A performance developed at Robert Wilson’s Watermill Center during an artist residency 2012–2013 is awarded each year a European premiere at the Arts Arena. 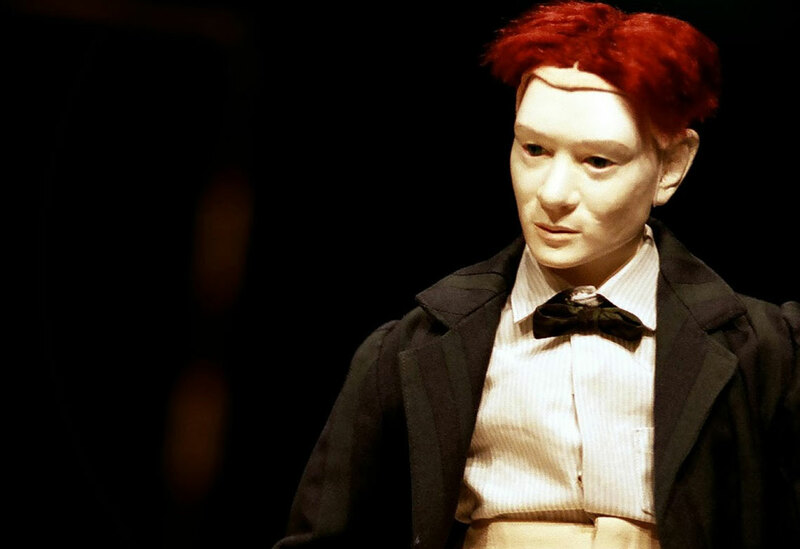 This year’s selection is Echo in Camera, an extraordinary theatrical production featuring exquisite meter-tall puppets, so realistic as to be somewhat disturbing, manipulated by three on-stage performers in black. Based on Beethoven in Camera, the performance is co-produced by the Vienna Schauspielhaus and the Grand Théâtre de Luxembourg. It was created at the Watermill Center and at the Hensen Carriage House, the artist residency of the Jim Hensen Foundation, and has recently had successful performances at Watermill and New York City’s famed theater La MaMa. The one-hour performance is performed by three “puppeteers” to live mix sound op by Jesse Heffler: the Puppet Fabulist and two Puppet Minders. The creator of this amazingly original production is Roman Paska, who has performed internationally in major venues. His Schoolboy Play was commissioned by Linz ’09 European Capital of Culture and also presented at the National Theater of Portugal. At the Stockholm Stadsteater, Mr. Paska directed August Strindberg’s Dreamplay with puppets for its centennial, and for several years he was director of the International Institute of Puppetry in France. Other projects include adaptations of Yeats’ The Shadowy Waters at the Abbey Theater (Dublin); Strindberg’s Ghost Sonata (Stockholm); Lorca’s Yerma (Seville); God Mother Radio (Paris), based on Marlowe’s Massacre at Paris; arden/Ardennes (Avignon), based on Shakespeare’s As You Like It, and Souls of Naples (New York, Naples), based on Eduardo Del Filippo’s Questi Fantasmi. Mr. Paska’s magical-realist documentary feature, Rehearsal for a Sicilian Tragedy, with John Turturro, premiered at the Venice Film Festival in 2009 and has been seen since at venues such as Lincoln Center and the Brooklyn Academy of Music (BAM). The Arts Arena is grateful to the Jerome Robbins Foundation for awarding it a second grant to make this performance possible.